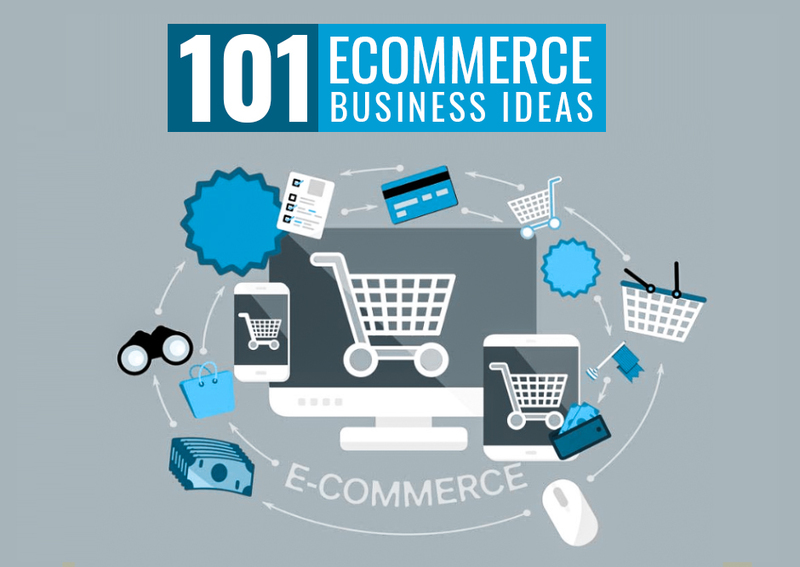 While we try our best to keep updating these business ideas according to the latest eCommerce trends, it is still possible that one or more ideas may already be implemented. But that doesn’t make that idea obsolete. An idea never expires. You can always experiment with the idea or implement in a different way. Planning to start your own online store? Starting an e-commerce business is probably one of the best things you can do right now. The online industry is booming in almost every field. Whether you want to start a creative fashion store or a simple website to sell your old items, it should all work. As you can see, almost everything can now be purchased online. People love the convenience of shopping online as well as the offers and discounts being offered by the websites. Looking for some interesting eCommerce website ideas? Here are some that would surely work in 2019. 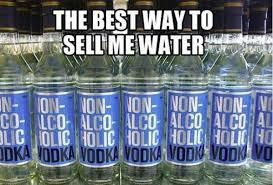 The focus should be on selling the right product/service. Once you have that, the customer will automatically follow. Looking for some amazing e-commerce business ideas that will work in 2019 and upcoming years? Here are the top 101 future-oriented online store ideas for both new and existing businesses that can help you make a profit this year. Read and implement these unique e-commerce website ideas for assured success. 1. Start a niche fashion website: It will work great with those communities looking for specific kind of items such as Halloween wear or traditional dresses, etc. 2. Rent fashion: Start a rental website through you can rent fashion items like clothes, jewelry, etc, and let others rent and earn. 3. Social Consultant: have some social media experience? Start your own social consultancy business and help clients set up their online media campaigns. 4. Sell rare local products online: Find products like arts, crafts, etc, that are only available offline in your local area and sell them online to people in other locations. 5. AI-based online fashion store: A place where users can not only see a range of clothes but also try them on through augmented reality. 6. Online health service store: You can either sell medicines and similar products online and/or provide services like ambulance, on-demand health checkup, etc, through a website. 7. Tea, accessories, and apparel: Another great idea for a fashion store is to target teams like school dresses, event dresses, etc. 8. Online Marketing Outsourcing: As an online marketer, you can start your own website and provide outsourcing solutions to businesses. 9. Sell Industrial b2b products: You can get a good margin by selling industrial b2b products since the competition is quite low. 10. Jewelry trading business: Buy artificial, handmade or real jewellery direct from manufacturers and sell it online for higher prices. 11. Networked E-commerce system: An online website where different e-commerce vendors can sell/buy/rent in collaboration. 12. Sell high-demand niche products, such as unique beaded necklaces, baby clothes, leather items, etc. 13. Consumer Electronics: Consumer electronics is an ever-growing industry and can help earn big if you have some unique ideas for items to sell. 14. Price quotations: A website where users can select products and ask vendors to quote their prices. 15. A website for all creative items: Try starting a business that sells all the creative and unique things that are trending in the market. 16. DIY (Do-It-Yourself) online store builder: A platform where you either guide fellow entrepreneurs to create their own online stores or provide a software to do the same. 17. Photo copyright and sell A website where users can post their photos to check for copyright and sell them to buyers. 18. A website for tech-savvy retirees: Sell tech and other relevant products to the older generation. 19. Customer engagement solutions: You can provide solutions and services to companies looking for better and healthier customer engagement. 20. A global e-commerce website like Amazon that sells everywhere in the world. 21. Sell products around communities: Find a specific community and sell products that represent that community. 22. Sell Solutions to Problems Around You: Create or find a solution to a specific problem that people around you are facing in general. 23. Online Customer Service: Many small businesses and companies like to outsource customer service tasks to professionals. 26. Merchandise platform where new eCommerce retailers can connect with suppliers. 27. An App or Website That Allows Merchants to sell their products online by simply uploading product pics. 28. Computer Assembling And Sell: Give users a platform to choose their own computer configuration and buy assembled computers online. 29. Sell what others don’t: Amazon and eBay might have been selling many things, but not everything. Find out what services and products you can sell better than other sites. 31. Sell items that need an expert service and provide that service as well. 36. An online platform through which users can buy products from offline shops, even in non-business hours. 37. Travel website: Travel tips, packed gas, hotel and flight booking, rail ticket and more, at discounted rates. 38. A wardrobe suggestion website/app that advises users the best clothes combination based on event and options and also suggest websites to buy new clothes from. 39. Take your product directly to your customer rather than paying a middleman for the service and earn higher margins. 42. Sell something related to your passion or need. 44. A mentor finding platform for individuals looking for a personal or professional mentor in various fields. 47. Online network marketing business which would involve promoting to both offline and online networks. 48. An e-commerce site where buyers can directly interact with the seller before buying their products. 49. Beauty and health store: You can sell a unique beauty/health product or service through a dedicated online website/app. 50. A social networking site that also integrates an online store where users can shop by directly clicking on ad links. 51. Online content selling: As a professional content writer, you can create a platform for businesses and content writers to work together. 54. Online food ordering: Even though there are already some e-commerce apps providing this kind of services, you can be unique by offering attractive and unique discounts and facilities. 56. Online video blog along with paid tutorials on any subject your expertise in. 58. An online real estate portal that lists the properties, rentals and other real estate projects in the area. 59. An online website/ mobile app for storing, maintaining, processing and using digital cash in real-life applications. 60. An online cloud computing business with applications in both personal and professional environments. 61. An online virtual home furnishing app that lets users decorate their homes/rooms by trying different designs and settings. 62. Freelance web designing business through your own website with a portfolio and your web design work samples. 63. An event website that organizes high-class themes shopping parties, including wine tasting and other luxury activities. 64. An online currency exchange platform where people can exchange currency in real-time. 65. A transactional social networking site where users can not only find information but also perform actions like shop products, watch a movie, book travel tickets and more. 66. An online grocery store with the home delivery option that can work as an interface between shoppers and your local grocery suppliers. 67. An online network of retailers through which all sellers from all parts of the country can connect and be found. 68. An online library where people can read their favorite e-books and research via huge resources. 69. An on-demand clothes delivery platform through which users can order clothes from their local stores, try them on at home, and accept or return. 70. Online sports store to sell sports equipment, supplies, and apparels. 71. A price-down notifier app for e-commerce sites that informs users when the price of a specific product goes down. 72. Have a nice and clear voice? Start your own online voiceover artist business and accept jobs. 73. An interface to make it possible to draw cash from ATMs using net banking account details. 74. An online tailoring store where users can order and buy custom tailored suits and get doorstep delivery. 75. An e-commerce shopping portal for travelers. It will not only sell travel-related products but also deliver to travelers wherever they are. 76. Home sharing or home-swap business that allows people from different regions to rent/exchange homes with each other while traveling. 79. An e-commerce portal of discounted items where retailers can sell their old stock goods at a discount. 80. A subscription platform where you can provide some specific type of content to subscribers for a monthly/yearly subscription fee. 81. A volunteer-based online news platform where users can write news from leading newspapers and portals. 82. Online business directory for all or a specific industry and lists all local businesses. 83. Online domain selling/buying service where users can list their old domains and accept bids from interested buyers. 84. An AI-based to-do app that will predict and suggest things to do based on situations. 85. Online Translation service website that works as an interface between translation experts and those looking to hire them. 86. An online betting site that offers genuine options for winning through legit games and bets. 88. IT company: As an IT professional, you can always start a software and/or online marketing company with coverage to various related services. 89. Affiliate Marketing: Create a website and start selling products/services on behalf of websites like Amazon, and earn attractive commissions. 90. Sell blog posts: Write blog posts as a guest blogger or paid blogger for leading online blogs. 91. Online bookstore: A complete portal for selling and buying books and reading them online. 92. Online delivery service: An affordable consignment and delivery service for small and big businesses alike. 93. Online vehicle booking system in which users can book/rent different types of vehicles and can also put their own vehicles on rent. 94. Online copywriting business through which you can provide sales and marketing copywriting services to businesses worldwide. 95. Wedding store: Everything from wedding planner to photographer, bridal dresses, jewelry as well as venue rental service. 96. Local daily deals: Start a website where you provide daily deals and offers from various local and online stores in your region. 97. Stock trading and exchange: If you have some knowledge of the share market, you can start your own stock trading business. 98. Learn to build apps and start your own app development business online to serve millions of people out there. 99. Remote tech support: Provide remote technical support to small companies and their customers. 100. Make drones: I know this sounds a little too good to be true, but it is not. If someone can make and sell planes, you can surely make and sell specialized drones. And it’s perfectly legal. 101. Sell furniture online: Another great eCommerce business idea is to sell handcrafted furniture items through existing or new websites. Got an online store idea? Contact us to get your e-commerce website developed in a best-optimized manner. Once you have identified the right e-commerce business idea, half of your job is done. The next and the second most important thing is creating a useful product/service that users will actually love. No matter what you choose to sell, focus on providing a great quality product with amazing customer service. SAG IPL is a leading web development company with a team of skilled and expert e-commerce developers who can help you get the perfect website to get started in the online business world.